With good reason. The work of Mona Haydar, poet turned rapper, is overtly political. Her lyrics call out racism, sexism, Islamophobia, violence against women, colonialism, and colorism. Her music captures both a razor-sharp critique of oppressive norms and the powerful resistance of living joyfully. In the video for Hijabi (Wrap my Hijab), Haydar, 8 months pregnant with her second child, raps surrounded by women of every color and size wearing many variations on the hijab. In a piece full of powerful lyrics, the hook drives home both a critique of colorism, “All around the world love women every shading”, and resistance to Islamophobia through unapologetic celebration of the hijab, “So even if you hate it I still wrap my hijab”. 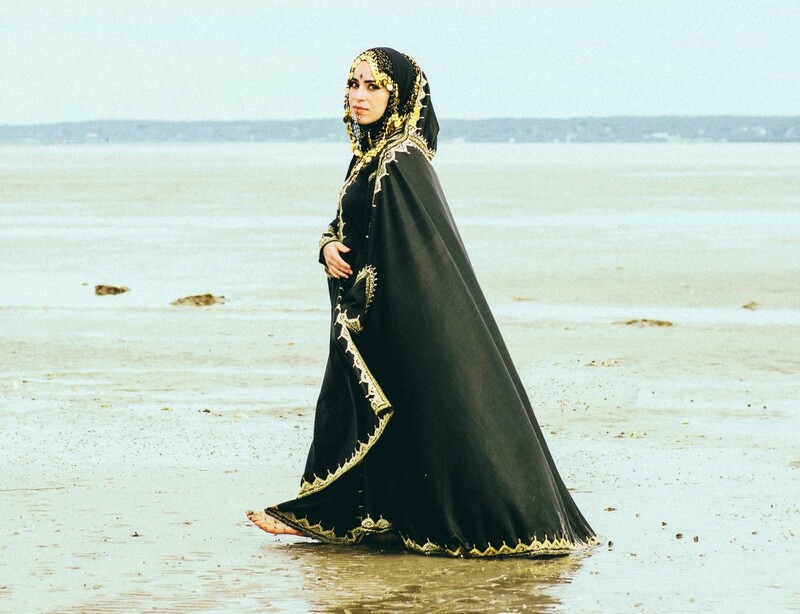 Haydar followed her debut with Dog (ft. Jackie Cruz), in which she calls out sexism in the Muslim community – specifically the ways in which men simultaneously objectify women and use religion to shame them. The hook, sung by Jackie Cruz of Orange is the New Black fame, distills this hypocrisy, “Say you can save my soul but you’re a dog at night”. Haydar’s response to these misogynists? “Oh my God, you need God”. The video for Dog ends with title cards giving stats on sexual and domestic violence in the US and around the world. In her latest offering, Barbarian, Haydar rejects white supremacist beauty standards and celebrates what has been labelled barbaric, uncivilized, or other. In the video, Haydar and her diverse entourage are swathed in gorgeous fabrics and dripping with jewelry. They lounge in a verdant garden, drink tea, eat fruit, paint each other with henna, make music, and laugh together. In her lyrics, she calls out the way colonialism and racism first demonized, then appropriated the beauty of indigenous peoples, “On these big lips, oh they used to hate. Now the script flipped. Oh hayy! They gotta lipkit, Kylie J”. “Women our future is winnable. We gotta be indivisible”. Mona Haydar’s first EP, Barbarican, is set to drop in 2018. If her singles of the last two years are any indication, we can expect inspiration for a feminist revolution.